Welcome to another round of the Five Minute Friday link-up! We gather every week to write for five minutes flat — and we’d love to have you join us! If you’re new, you can find more information about how the link-up works right over here. Join @5minutefriday as we write for five minutes on the prompt, BEAUTY. Sometimes I don’t see it glowing there right next to me. Sometimes even when I’m looking for it, scanning the scene to find it, my eyes glaze right over it, not recognizing it for what it is. Sometimes I don’t think to look for it at all. But when I do, I’m sure to find it everywhere. Instagram tells me it can only be found in gourmet platters of perfectly prepared food, in fresh bouquets of flowers, in radiant sunsets. Media tells me it looks like smooth, flawless skin, long, shiny hair, and perfectly arched eyebrows. When I’m looking, I see it when my son gives his sister some of the candy he earned from extra credit at school when she didn’t even ask for it. I see it when the deacon at church organizes a funeral service for the elderly veteran who recently died without any relatives nearby. I see it when my husband goes out late at night to run an errand for me. I see it when someone takes the time to text me a message of encouragement out of the blue. I see it when God’s people pray. It’s everywhere, if only we would open our eyes and enjoy. Where have you seen beauty this week? Quick PSA: Have you heard of the Festival of Faith & Writing? 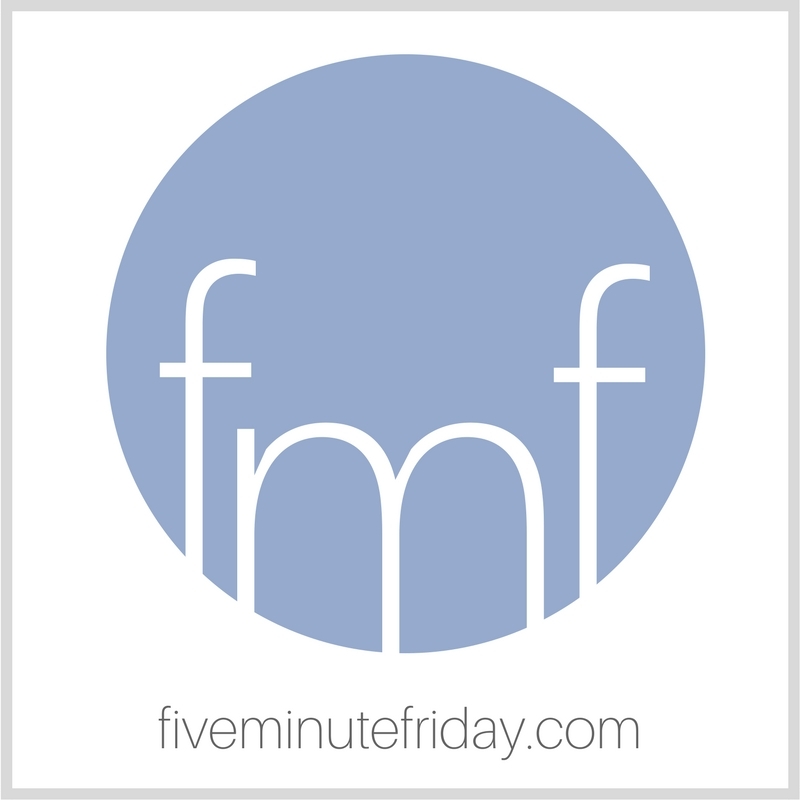 It’s a fabulous conference happening in Grand Rapids, Michigan in April, and Five Minute Friday qualifies for a group discount! Click the blue button below to add your own five minute free write! Then don’t forget to visit your link-up neighbor to read their post and leave an encouraging comment! I have a life-long obsession with looking for beauty everywhere. It really helps–especially on dark days—I know it’s there, I just have to focus on it (and I don’t mean just with my camera lens 😉 ). Kate, I LOVE all the different ways you see beauty in your world. I agree with you. Beauty wears so many more dimensions than media tells us. You and I were thinking along very similar routes tonight. Love this reminder to look for beauty in the everyday! The books or the music in which we thought the beauty was located will betray us if we trust to them; it was not in them, it only came through them, and what came through them was longing. These things—the beauty, the memory of our own past—are good images of what we really desire; but if they are mistaken for the thing itself they turn into dumb idols, breaking the hearts of their worshipers.